This Casino is Closed. It no longer exists. Was a good place too bad it screwed up and closed. VIP Slots Casino is one of the oldest online casinos, having been launched in 1997. VIP Slots Casino is licensed from the jurisdiction of Antigua and Barbuda and therefore players can be assured that the games are fair and that they will get their payments in time. VIP Slots Casino offers bonuses to new and existing US online casino players. New players can avail of the 100% bonus on the first three deposits totaling to $777. Existing players get 50% reload bonuses on Tuesdays and 100% reload bonuses on Saturdays. Visit VIP Slots to Claim your Bonus Now. The online casino site has a six tier VIP Plan. Comp points earned can be redeemed for playing credits or for casino merchandise. At designated times and casino games players can earn doubled or tripled comp points so it would be worthwhile to keep checking the promotions page. The best is that all active players automatically qualify for the Monthly Sweepstakes. VIP Slots is powered by software from Vegas Technology. As its name suggests the focus is on online slots games. Out of the over 100 casino games more than 60 are slots. 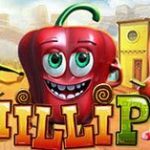 Players will find the complete range of slots games that includes Bonus Slots, 3 Reel Slots, Video Slots 7 Reel, Video Slots 5 Reel, Traditional Slots and Progressive Slots. Red and White Win is the pick of the progressive slots. The graphics and sound effects in the slots games are very realistic. The other games that are offered include blackjack, baccarat, craps, roulette and video poker. Players can enjoy a large number of online slots tournaments at VIP Slots Casino. The guaranteed prize pool ranges from $5,000 to a whopping $250,000. There are pot prize tournaments as well. The entry fees are $10 or less and this is not a burden on the players. There are freeroll qualifiers for the $250,000 tournament so skilled players can get a share of the pie without any investment. There are some tournaments in blackjack and video poker in case players are looking for a change from slots. The software can be downloaded and installed in five easy steps. Clear instructions have been provided in the Download Software section. The download version is compatible only with Windows. However Mac users need not worry. VIP Slots Casino offers an instant play version of the software that is compatible with Mac. 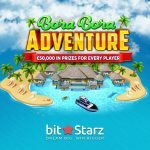 Players can deposit funds through credit cards, UseMyWallet, QuickCash, Eco Card, NETeller, Quick2Pay, MyCitadel and Moneybookers. VIP Slots Casino does not levy any fee on deposits. Withdrawals can be made by all these options except for credit cards. Instead of credit cards withdrawals can be made through eCheck, Bank Wire or paper checks. The electronic options are free but there is a small fee for the others. The deposits and withdrawals are absolutely secure. VIP Slots Casino has a FAQs section that the players should check out before contacting customer support. Customer support can be contacted through toll free telephone numbers and through e-mail. The e-mails can be sent directly to the functional departments. However the best way to contact customer support is through Live Chat.